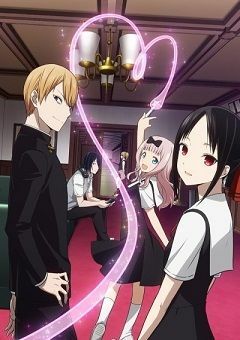 Considered a genius due to having the highest grades in the country, Miyuki Shirogane leads the prestigious Shuchiin Academy’s student council as its president, working alongside the beautiful and wealthy vice president Kaguya Shinomiya. The two are often regarded as the perfect couple by students despite them not being in any sort of romantic relationship. However, the truth is that after spending so much time together, the two have developed feelings for one another; unfortunately, neither is willing to confess, as doing so would be a sign of weakness. With their pride as elite students on the line, Miyuki and Kaguya embark on a quest to do whatever is necessary to get a confession out of the other. Through their daily antics, the battle of love begins!